Volkswagen has now jumped on the electric bandwagon (which is likely powered by a lithium-ion battery) by revealing its first electric entry in the United States: the 2015 Volkswagen eGolf. While it’s nice to think that Volkswagen’s main motivation for establishing an electric variant of the Golf here in America was to promote environmental sustainability, it is actually, in all likelihood, a response to California’s mandate on the production of cars with zero tailpipe emissions as part of the state’s pollution standards. The 2015 Volkswagen eGolf, in keeping with the at-times-annoying structure of automakers, will be available by fall of 2014 at select dealerships—namely, those in locations with a higher demand for electric vehicles. (This one has California written all over it.) Volkswagen hasn’t released any pricing info, but we can expect it to be marked competitively with other electric vehicles on the market (like the LEAF and the Volt). On top of that, old Uncle Sam doles out rebates (up to $10,000) for choosing to go electric, something to keep in mind when pricing info does roll out. 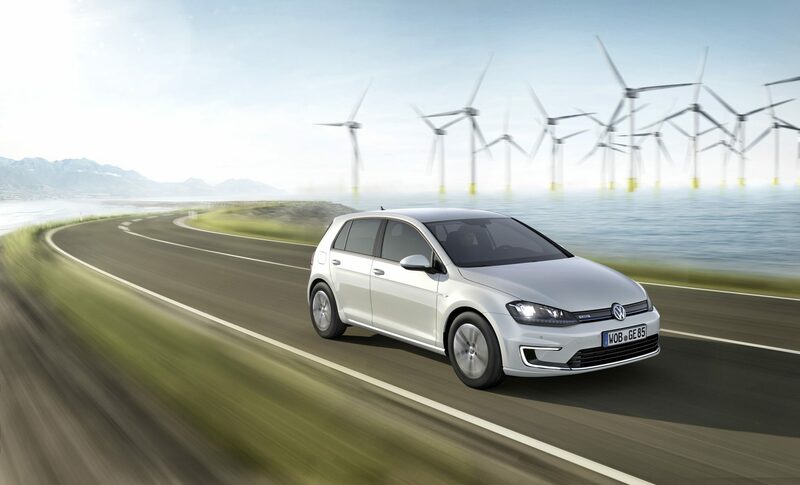 The eGolf gets its power from an electric motor, paired with a 24.2 kWh battery. In total, this powertrain throws down 115 horsepower and 199 lb-ft of torque. Okay, okay, so it doesn’t throw it down—more like sets it down gently, like a bowl of hot soup. You try making a car whose top speed is electronically limited to 87 mph sound interesting! 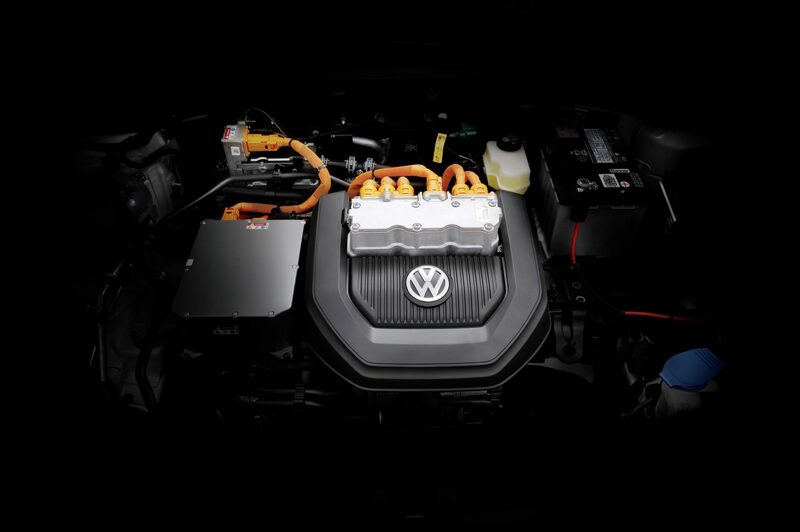 The powertrain of the 2015 Volkswagen eGolf consists of an electric motor and a 24.2 kWh battery. 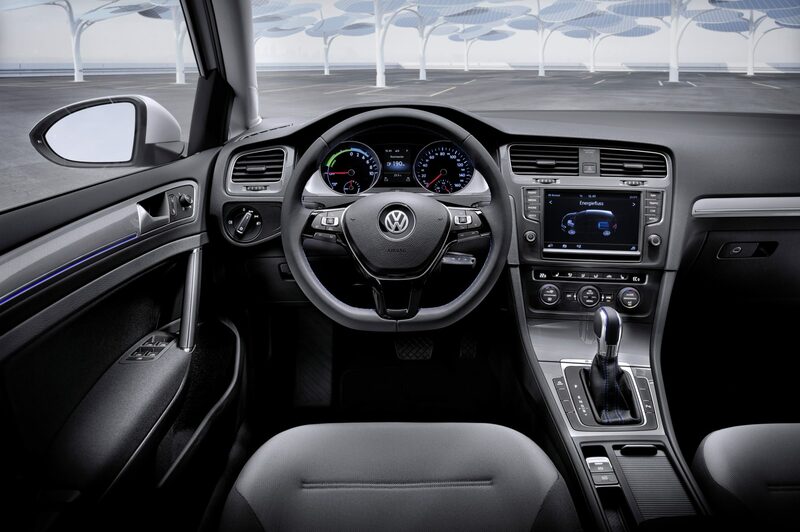 As far as driving range, the 2015 Volkswagen eGolf doesn’t really stand out from the crowd. It gets between 70 and 90 miles per full charge, which seems to be the industry norm for electric vehicles. And just like those other EVs, the eGolf can be charged in a little under four hours with a 220-volt charging station, but the Standard Fast Charging capability allows for an 80 percent charge in just 30 minutes. While behind the wheel, drivers can choose among three driving modes: Normal, Eco, and Eco+. Eco and Eco+ extend the range of the eGolf but sacrifice what little amount of power is available elsewhere. The new electric variant also features regenerative braking for increased efficiency. Choose among Normal, Eco, and Eco+ for each drive. So all-in-all, the eGolf seems pretty run-of-the-mill. Volkswagen has boasted that this is the first VW vehicle in America to run on all-LED headlights, but I don’t think anything could motivate me less from leaving behind my current ride for an eGolf than the promise of all-LED headlights. Come on, Volkswagen, you can do better than that.